Greetings! Yes, it’s been a while since I posted, but there’s not been a whole lot of small trailer news to report on. However, that’s fixin’ to change! Fingers crossed, but I’ll be heading to a couple of factories over the next couple of months, and one hopefully next week. That one should be big, as this is a trailer that’s not been seen by the public yet, but one that the small trailer community has been waiting for months to get their eyes on. How’s that for a teaser? 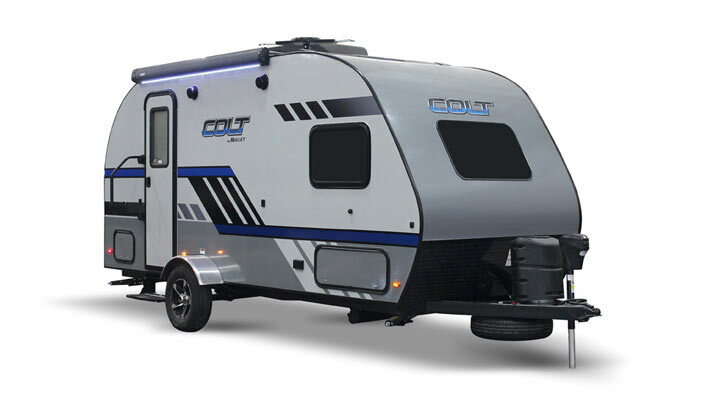 Keystone RV has entered the micro trailer market with the introduction of the Passport ROV and the Bullet Colt. Currently both have just two floorplans which are both the same for each model. But the similarities don’t end there. 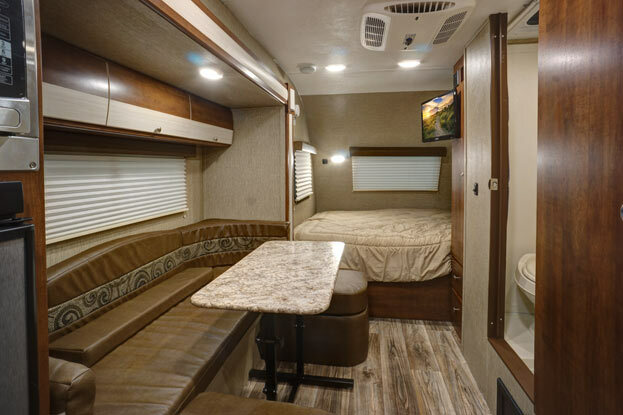 Every aspect of each trailer is identical, except for the names on the outside and their interior colors and upholstery. Take your pick! 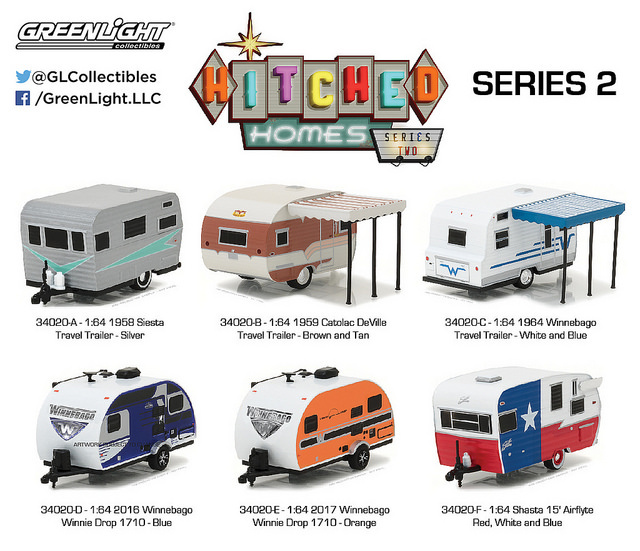 Indianapolis, Indiana based Greenlight Collectibles continues to provide small trailer lovers with a bevvy of vintage and now current small trailer diecasts. 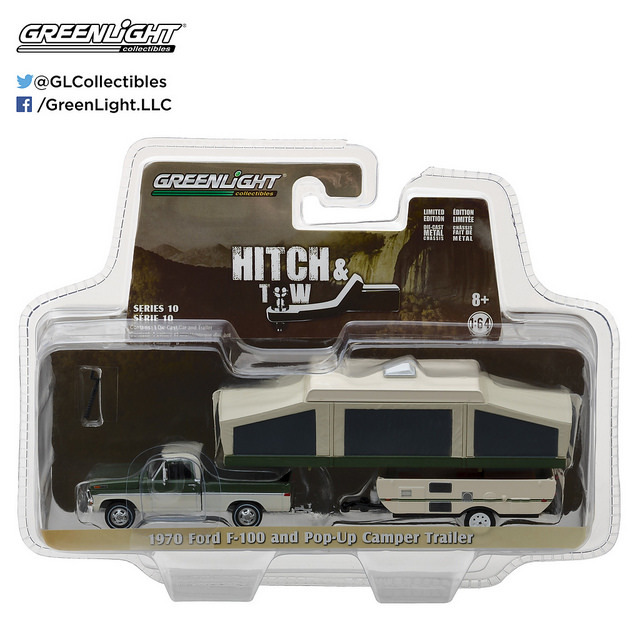 They initially started with their Hitch & Tow series and continue it with various combinations of trailers and tow vehicles. 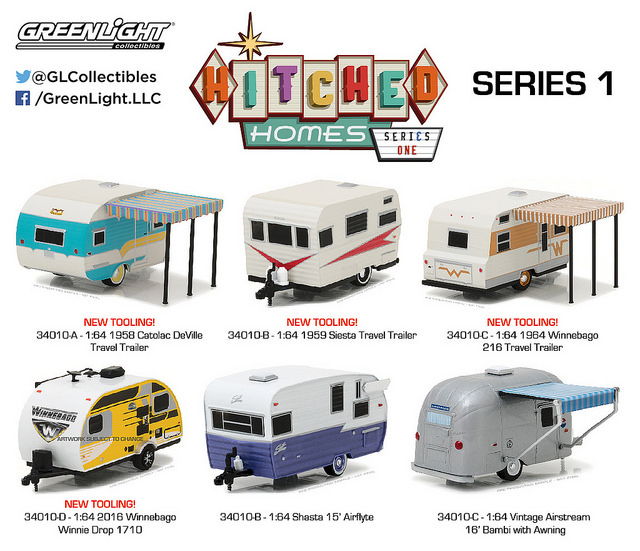 But now Greenlight has introduced a new line of strictly trailer diecasts called the Hitched Homes series. 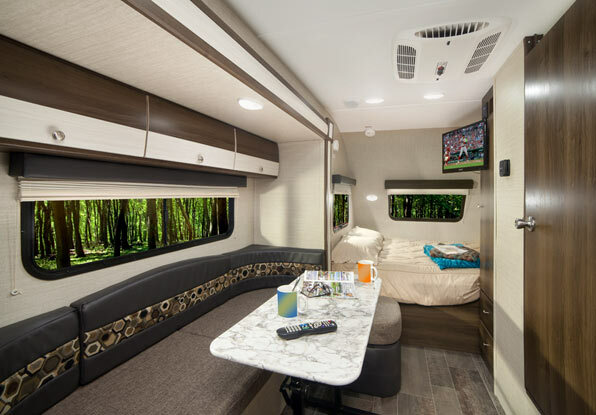 Currently there have been two installments of the Hitched Homes series released, totaling twelve trailers ranging from a 1958 Siesta to a 2017 Winnebago Winnie Drop. I picked up a Winnie Drop and a Siesta at my local Meijer store, and I have to say kudos to Greenlight for continuing to honor small trailers the way they have AND building an excellent product at a good price, as I paid less than $10 each. I’ve learned that Greenlight actually measures the real trailers to get specs for production. Jim Gratner, sales pro at Braun’s Fun Time Campers in Indianapolis, told me that Greenlight paid a visit to their lot in 2016 to look over a Winnie Drop they had in their inventory. They took pics and did some measuring for their production of the Hitched Homes 1:64 scale Winnie Drop. So these are detailed about as close to the real thing as you can get. 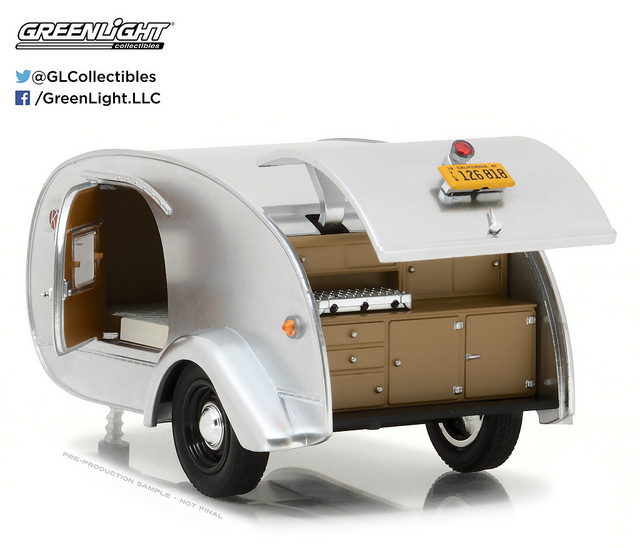 I’ve yet to see this one, but they’re also coming out with a bigger 1:24 scale teardrop trailer that you’ll also want to put on your shelf. So there are a few updates for you all. I’m really excited about these factory visits I’ll be making soon, as there are some trailers you’ve been waiting to finally see, and I’ve been told there are some we’re going to be introduced to that aren’t known yet. Stay tuned and thanks for reading!